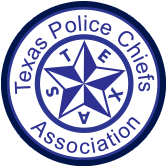 This is an assessment of the 120 hour course in Developing Leadership in Texas Law Enforcement sponsored by the Texas Police Chiefs Association. This course is a significant commitment to training for any police organization. Upon completing this course, I wanted to insure my department understood the quality of instruction I had received. I pondered the following questions: Is this course worthwhile and necessary for the future development of police organizations and their resources? What is being learned during the three weeks of this course? And, how does this apply to police organizations? Those questions and more are answered in this assessment. There are five overarching goals of the course. First, understanding and applying modern behavioral science and leadership theories that enhance human motivation, satisfaction, and performance in the achievement of organizational goals. Second, learn frameworks to organize knowledge and experience into effective leader actions. Third, integrate course content into daily leadership practices. Fourth, develop and achieve personal leadership potential to the fullest. And lastly, inspire a lifelong commitment to the study and practice of effective leadership. By the end of instruction all five goals are achieved. The content of the course was presented with both past and present materials regarding police activities. These police activities identified a lack of developing personnel, "profession wide". This is apparent with recent events showing officers engaged in questionable behavior like excessive force. The biggest question asked is, "why" does this happen? The simple answer is a break down in leadership. Is it more complicated than that? Yes! There lies the need for this coursework. Every day there are opportunities for the application of these methods. A prevalent example is the orientation and socialization processes. Orientation is imparting knowledge. Socialization imprints the norms and values of the department on new members as well as their roles within the department. The course has successfully highlighted these important processes. Ask yourself this question; when your recruits successfully complete field training, can they adequately explain the department’s mission, goals, values, philosophy, and guiding principles? If the answer is no, you need to revisit your socialization process. If they can recite the mission, that’s great, the orientation process was successful. However, if they can not explain the meaning behind the words, the socialization process has failed and therefore leadership has failed. This course shows the leader how each of the organizational systems co-exist and interact. The four systems are: the individual system; the group system; the leader system; and the organizational system. The course identifies and explains the roles of these systems. In addition, it gives the leader tools to identify and address areas of dysfunction. One of these tools was the ability to identify problems, opportunities and decisions. What does that mean? Simply put, leaders find themselves addressing areas of interest within the organization. Each area of interest can be a problem, an opportunity or a decision that needs to be made in regards to that particular area of interest. What is an area of interest? This is behavior that is outside the framework of the organization’s mission, goals, values, philosophy, and guiding principles. One of the most important leader functions is to ensure all members know and understand this framework. One of the most important goals of the leader is self-regulation among followers. Self-regulation only occurs when the follower’s mission, goals, values, philosophy and guiding principles align with that of the organization. We most often hear this in sports referred to as "buying into the program". I firmly believe this is one of the most important aspects of this course. I can not teach the course with a few words on paper. However, with regards to a police agency, I know our most important resource is our personnel. I recognize their development must be the organization’s top priority. In a time where the lack of developed leadership is apparent in the news, almost daily, it is important to start strengthening this area of our police departments immediately. The content of this course will have a great impact on personnel by providing them with the tools for proper leadership. It is important for police agencies to invest in their futures by sending every leader at every level. Why? The course develops leaders in a manner that will get results the right way, through development and facilitating a passion for excellence. Sending personnel through this course will increase their motivation, performance, and job satisfaction. Personnel will be more efficient and effective at developing people and achieving organizational goals. It is our duty to provide future leaders with the tools they need to influence human behavior to achieve organizational goals that serve the public, while developing individuals, teams, and the organization for future service that will restore the community’s trust and confidence in law enforcement. After all, this is the true meaning of leadership! For Class Information, please contact the Texas Police Chiefs Association at 512-281-5400 or tammymartin@texaspolicechiefs.org. Course material from Leadership in Police Organizations edited by Dr. Howard T. Prince II (U.S. Army Retired), John F. Halstead (U.S. Army Retired) and Chief Larry Hesser (Retired). Cost: $695.00 per trainee - Must be paid in FULL before entering the classroom.